MANNA FoodBank distributes enough food through our partner agencies to provide 41,000 meals every day. This year round effort takes tremendous community support to achieve. Volunteers are at the very heart of our operations, helping us stretch each dollar as far as it can go. Thanks to our volunteers, every $1 donated helps to provide the food for 3.5 meals. Repacking healthy food purchased in bulk, such as oatmeal, rice, and beans. Creating emergency food boxes for distribution to those who need it most. Picking and bagging thousands of pounds of local apples. Packing and delivering MANNA and Summer Packs for Kids. 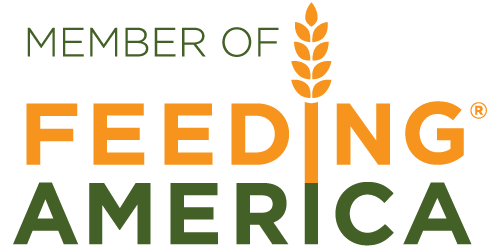 Gathering information for the latest national Hunger Study. 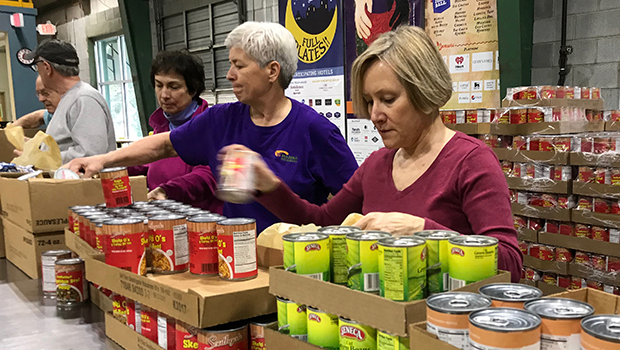 In fiscal year 2017/2018, 7,012 volunteers provided 73,729 hours of their time, and they play a critical role as we work to solve hunger in our region.